The desert clears your mind and calms your soul. 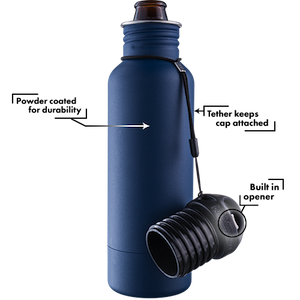 A hike through the trails of the beautiful, and barren, provide the perfect cure for a clouded mind. 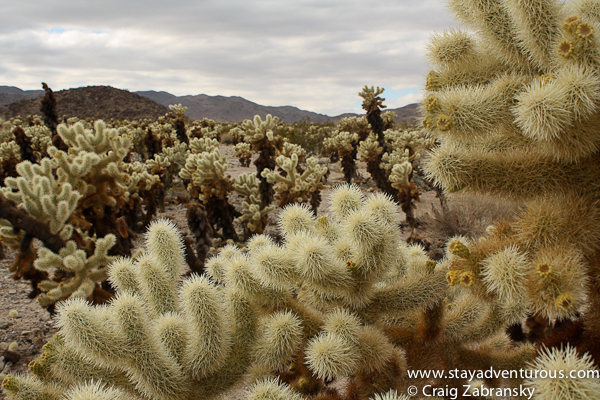 On such a hike through Joshua Tree National Park I discovered more than the tree, but also a cactus cure. I woke up early, very early. 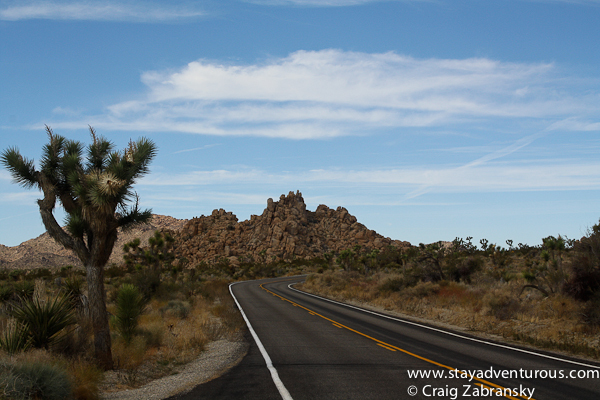 I started my day with a sunrise at the Desert Lily B&B and after breakfast I entered Joshua Tree National Park. The park, just a few hours west of LA, or San Diego, is very different than the southern California coast I’ve come to know. Today, the desert awaited. I planned an entire day and drove the vast park grounds to hike select trails. I even stopped along the roadside a few times when a certain view needed to be appreciated outside the confines of my car. The roads, the rocks, the trails, and the trees all impressed. 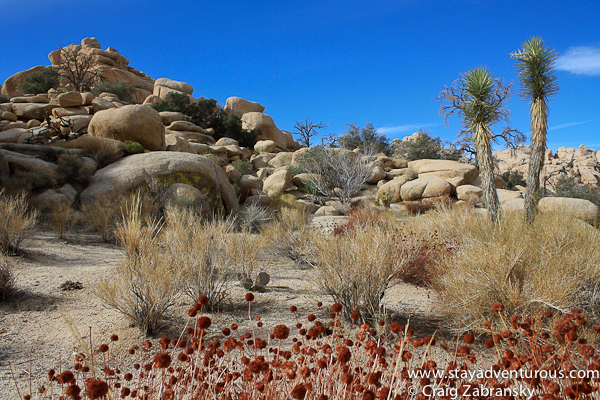 And just like anyone who grew up a U2 fan, I wondered where was the Joshua Tree (used on the album cover) located? The tree from the album cover has since died. Then here was a short hike, a walk through a cholla cactus garden that shifted my mindset the most. 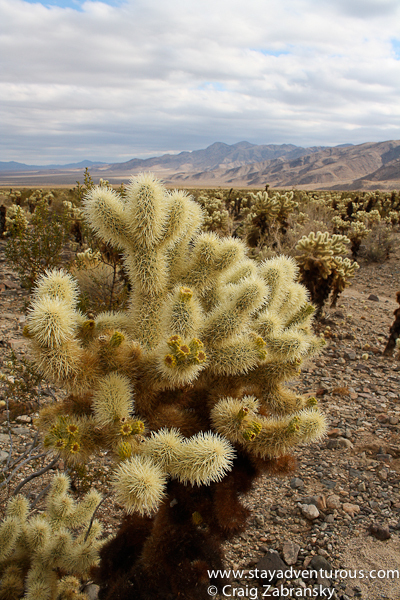 A visual oasis from a distance, the colorful cactus created an urban sprawl of life across the desert landscape. 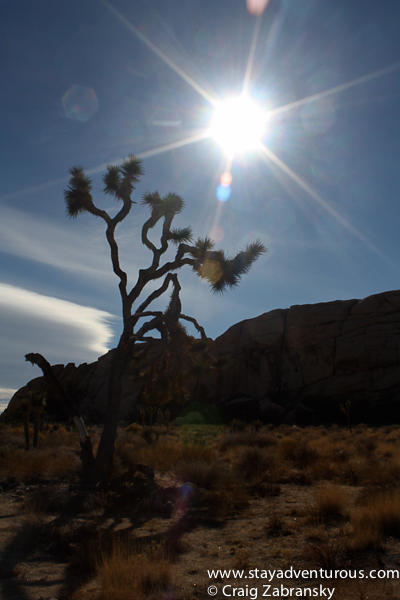 Sometimes we enter a day or a destination searching the popular “must see” item, in this case a Joshua Tree. Yet, often it is what else we find that makes the moment and our memories special. I wanted to enjoy the tree the park is named for, but I discovered other beauty on the way. And when you’re open to that beauty, it makes for even a better adventure. 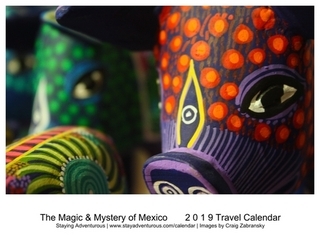 This post is part of the Autumn of Adventure, and the Adventure Travel Mindset series. 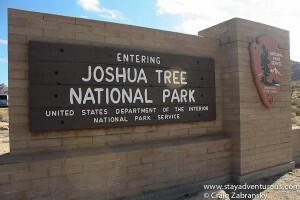 I was hoping to hit Joshua Tree & San Diego on my cross-country road trip but unfortunately didn’t have enough time. Looks like I still need to go! @Laura, definitely hit both. Great American destinations.